The work was done to a high quality and their clean up was fantastic! I would like to thank you for the work carried out recently. I will certainly use ServiceBase Agian! I would just like to say how happy i am with the service provided to me by ServiceBase Ltd. The work was completed on time and to the specification i asked for. They were also very honest. Dave is motivated and highly competent in the work he has carried out for Elwy Estates. Projects include refitting a shower after an excessive amount of damage was caused. He has also carried out a full refurbishment on 3 flats to a very high standard. The prices that were quoted were precise and the professionalism shown throughout the past 18 months of knowing Dave is second to none. I have known Tim for approximately 15 years. I have always found Tim to be honourable and trustworthy in the execution of his role as a contractor and on that basis, wherever it is appropriate, I include him on the list of contractors, whom i advise my clients to obtain tenders from. We have used SericeBase on a number of occasions for work around the school. I would not hesitate to recommend ServiceBase Ltd to anyone who is looking for a good quality builder at a competitive price. I am very pleased with the work that Service Base have done to my house. They have both updated it and improved it immeasurably in a way which meets my needs. Throughout the whole process I was always consulted where necessary. They made as little disruption as possible, and were pleasant and polite. I have since recommended them to one of my friends. She was equally pleased with the work they carried out for her. It has been a real pleasure to work with you, and I hope that we can do it again soon. We were really pleased with everything from the first time they visited right through to the end of the work. They were always reliable, and kept in regular touch at all times. We have no hesitation whatsoever in highly recommending Service-Base - their work was great and so were they. We'll definitely call them again. I have to say the whole experience so far has been great and I’d have no qualms in recommending you to anyone needing building work carried out. Many thanks for all your hard work. Very pleased with the result. Quick, efficient, reliable, I would recommend this company. Regulations with the Council . They also carried out internal work, including replacing a ceiling and installing new lighting, and loft insulation, with a minimum of disruption. David and Tim are both a pleasure to work with as are the rest of their team who worked on our house. They kept the site clean and tidy removing all rubbish at the end of each working day. 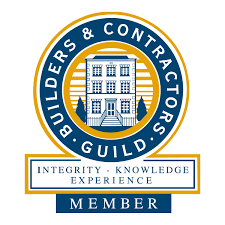 We would have no hesitation in using them again for any other work we may need in the future, and would recommend them to others seeking a good, honest, reliable building company. They were excellent, I can't fault them. Very Pleased. I found the workmen very good, polite and very good workers. Top grade, around all work done and respect and pleasant. Arthritis in knees - cant get down steps - so now have ramp and can get out - balance helped with tripped walker - bathroom much safer - all new and looks great. Chimney repaired. New brickwork on chimney top, one pot replaced with cover. Lead flashing replaced. Plastered sides weatherproofed. Very pleased with finished chimney. Builders easy to talk to on aspects of the work involved. Complete new bathroom, exterior ramp and new back door. I'm not normally one for writing reviews but I can't recommend this company enough. From pricing the job to finishing they were extremely helpful, courteous, professional and trustworthy.We were kept informed as to the jobs progress at the end of every day and found them to be very approachable and understanding to any job related anxieties we had, everything would be explained easing any concerns and giving us confidence in the company. I found them to be extremely fair with their pricing and we would most definitely be happy to recommend them and use them again for any future work. Patio doors and garage doors. This is the second set of works they have done for us and we are happy with everything they have done for us. Tim, Dave and their men are great to work with nothing to much trouble. Roof line and masonry work. Old bathroom removed. Complete new bathroom fitted. Overall performance was very good. 5 days without hot water due to late arrival of electrician (not employed by Servicebase Ltd.) Dust? Cannot be avoided. September 2015: Holywell Spiritalist Church. Job well done, neat and tidy, well pleased. Restoring internal doors, carpentry, plastering, plumbing, external rendering. Professional, good tradesmen. Approachable and friendly. Able to give clear and concise explanation of work being carried out. These guys are fantastic. Always found Dave, Tim and staff to be professional, courteous and polite. Will definitely be our first call for any building work we may require in the future. Would have no hesitation in recommending them. Work done to an excellent standard. Trustworthy, reliable, pleasant attitudes and very tidy. Windows re-fitted with lintels, plus works to the side of the building. I was on the point of contacting a surveyor to inspect as I didn't know what was causing various problems. Servicebase were the only builders to come out. Tim from Servicebase then wrote detailed proposals. The builders were totally honest and the work was done to a high standard. Looking from the outside now, you would never know there had been any problems. No more wonky, loose bricks to worry about. The cost came in less than the estimate as some works were unnecessary once they had inspected. They saved me a fortune. The builders are stars! The service I received was excellent from start to finish. Dave and his team were reliable, courteous and very helpful. The standard of work was excellent and well worth the price paid, especially as they found a small problem we had not bargained for and Dave offered and executed a good solution. I would highly recommend them. Responded immediately to my enquiry - quoted very quickly and treated the job as urgent. Skilled workmen - very little disturbance. Would use them for any other work. The two workmen had previously undertaken work for me so I knew and trusted them. Very professional and knew what they were doing. Very fair quotation substantially less that competitor for same job. Renovation and conversion of listed shop and redecorated premises. Good quality workmanship, flexible approach, good communication, on time and on budget. Very good service. Fast, reliable, clean and polite. Excellent and highly recommended. They were excellent. I can't fault them. Very helpful and genuine workers. I would use this firm again. Servicebase work is of a very reasonable standard. It is a very user-friendly company. Communication is reliable and quick making it a nice company to deal with. Any queries were responded to immediately and satisfactorily and any snags were similarly dealt with. I am happy to recommend service base to any future potential customer. Great service. Very clean and punctual. Made sure I was 100% happy with the work done. Well done to Dave, Tim Daz and Joe for a first class job. I seriously can not recommend Service base highly enough. We are delighted with the work from start to finish. Listen folks don't waste your time asking anyone else for a quote. Just ring service base and get them in to do your work. If I could hold an open house simply to show off their work I would do. All work finished in a timely manner. Quote for work bang on. No time wasting. In do the job and out. Thanks again fellas. First class service, highly recommended. Friendly, punctual and very helpful. Would most definitely use Servicebase again. Highly recommendable, extremely clean work good communication and punctual, honest workmen and a joy to have working in our house lovely job al together. The replacement roof was fitted quickly and efficiently and in a professional manner. Sean explained every procedure every day, it was a delight to love the young men working here they were respectful and professional and clean, also approachable. Excellent. All good workmen. Very clean, very obliging. No complaints at all.